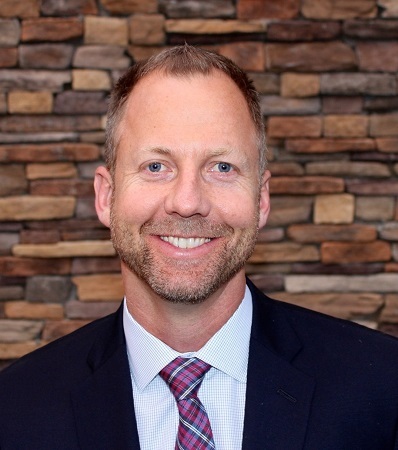 Michael Boomsma, PE, CCM, LEED AP is a nationally recognized Program and Construction Management professional with extensive field experience to go along with a background in civil engineering and business administration. As a licensed Professional Engineer, Michael brings a wealth of design and construction knowledge with practical applications from years of leading project teams. He specializes in leading diverse stakeholders through the planning, design, and construction of complex publicly funded facilities and associated infrastructure. Throughout his career, he has continually met critical milestones and budget goals while providing technical and management services with steadfast professionalism. Michael is the Senior Vice President of Cordoba’s Education and Facilities sector. As Principal-in-Charge, Michael supports a wide range of projects by providing Program Management, Construction Management, Program Controls, ADA Transition Plan generation and implementation, IT Infrastructure implementation, and staff augmentation services. He is directly responsible for the successful planning, procurement, and delivery of all Education and Facilities sector projects throughout the state. On several projects, he provides technical expertise in support of ongoing bond programs. Of note, in February 2016 Michael was selected by Engineering News-Record (a nationally recognized industry publication) as one of the “Top 20 Under 40” construction professionals in the state of California. Prior to his current role as Senior Vice President, Michael worked his way through several construction management roles at Cordoba, culminating as Program Director for Long Beach Community College District’s (LBCCD) $1.5B bond program. At LBCCD, Michael was directly responsible for the oversight of 21 Bond Management Team members managing all aspects of program implementation activities such as planning, budgeting, financing, scheduling, controls, design management, construction management, and closeout for over 30 projects on two campuses. He was also the District’s primary resource for the evaluation and execution of projects via alternate delivery methods. Through his leadership, the Bond Management Team successfully delivered numerous high quality, functional and financially viable projects and LBCCD has transformed into a highlight of the local community. Michael has been married to his wife Elana for 20 years and they have four school age children. He currently serves as a Lieutenant Colonel in the U.S. Air Force Reserves, where he continues a long track record of leadership success.